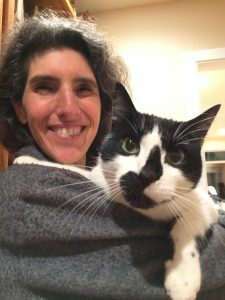 My goal is to work with you and your pet in the comfort and privacy of your home to improve his or her quality of life by using an integrative approach in combining Eastern and Western medicine. Integrative medicine– Dr. Angel provides a combination of holistic Eastern care and standard Western treatments in the comfort of your home for your dog or cat. Acupuncture alone or with Tui-Na (Chinese massage) and/or combined with herbs and a change in nutrition can be used to help to decrease your pet’s pain, to help your pet’s mobility and to treat multiple medical conditions.